Exterior window shutters are a good way to decorate the outdoor architecture of your house, without going into a paint job or changing the structure of the house. Exterior window shutters are available in many different varieties, materials, colors ad designs, to suit your windows. Some shutters are functional and can be used as an extra layer of protection for your windows, whereas some shutters are simply decorative. Shutters can be bought ready made or custom made for your home. Exterior window shutters are primarily used for decorating the exterior architecture of your home. They come in a variety of different designs to suit the architecture of your house, and enhance the look and feel of the exterior design. Decoration is not the only use that window shutters can be put to, however. They can be used in a number of other ways. Firstly, exterior shutters add an extra layer of protection for your windows from the weather. Shutters are made of different materials, some of which help shield your windows and your interiors from harsh winds, whereas some help to keep out the glare of the sun. 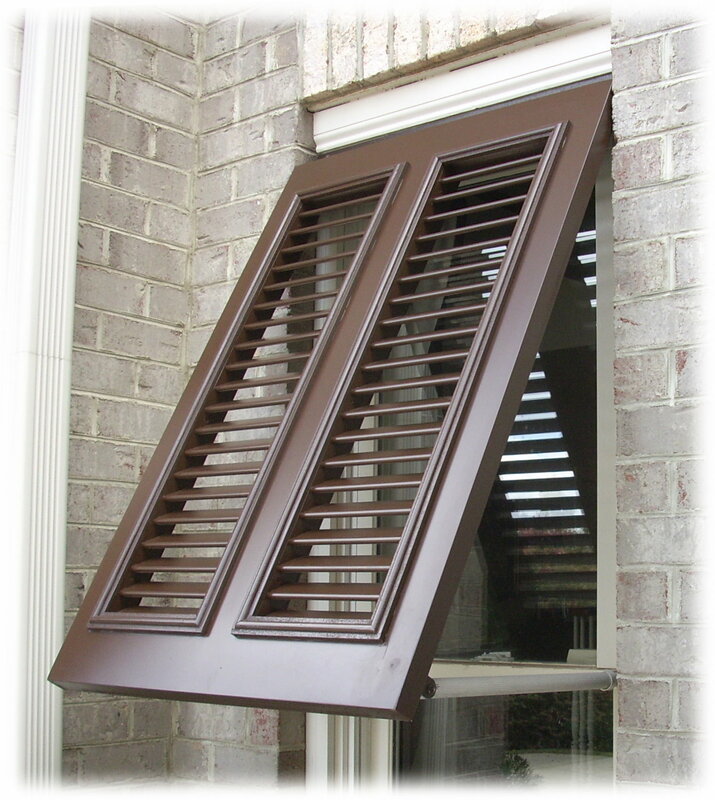 Moreover, many shutters can be latched shut and add an extra layer of security for your home. Your windows – which are easy targets for a break-in – have some amount of extra protection with exterior window shutters. There are two different kinds of window shutters, depending on their functionality. The first kind of shutters are simply decorational and are attached to the exterior walls of your house and cannot be moved. The second kind of shutters are functional and can be pulled shut as an added layer of protection for the windows. Shutters come in a variety of different materials, the most popular of which is and has always been traditional wood. Wooden shutters are extremely classy and stylish – and are great for almost any kind of architecture. Different qualities of wood are priced differently, and so you can always find wooden shutters within your preferred price range. Plastic or vinyl shutters are extremely long lasting and durable. They come in different styles and are often manufactured to look like wood, so although they are not the best in terms of the look and the feel, they are much more cost-effective as they can withstand weather better. Shutters are relatively easy to install as well. Although you can always get them installed if you want, many shutters come with tool kits and instructions for installation.